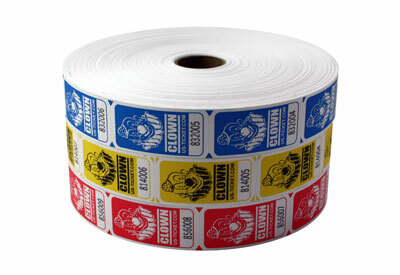 Clown Roll Tickets are printed in bright colors on white ticket stock with sequential numbering inside each roll. 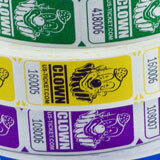 Each 1" by 2" ticket has a friendly CLOWN face, These Clown Ticket rolls are great for school events, birthday parties, general admission, carnival rides, drink or food tickets. 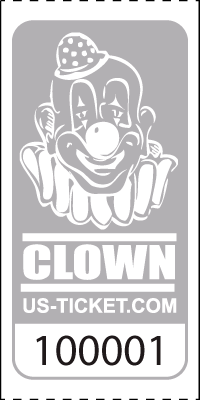 They have been used by food trucks and lots of other places where it is more secure to use tickets in place of cash.